We're very excited to welcome Japanese artists Konatsu to Q Pop for her first U. S. exhibition. 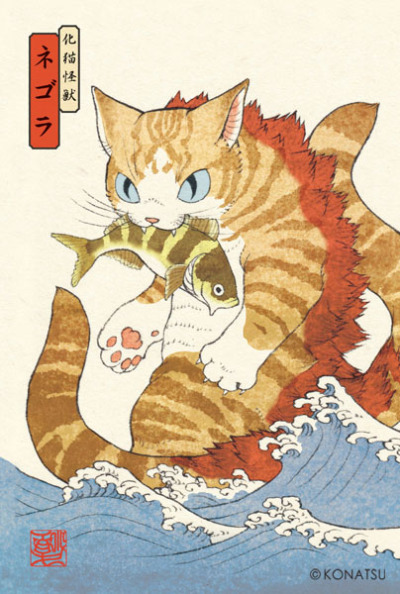 For those of you who don't know who Konatsu is...she created the very popular cat kaiju figure Negora. First for Max Toy....and recently, her own version. The opening reception will be on June 28. Konatsu will be attending and she'll be bringing a slew of hand painted customs with her.